Kid turned eight and not smelling so great? 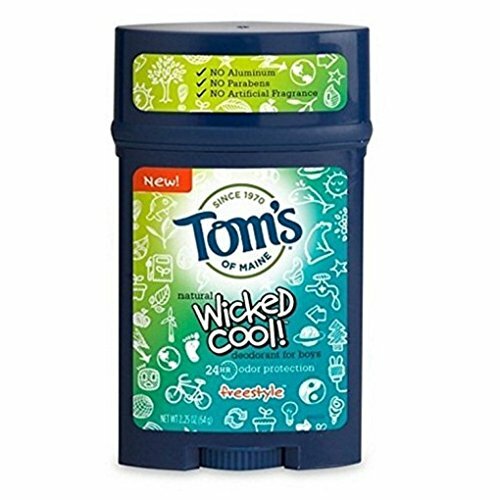 Introducing Tom's of Maine Wicked Cool! Deodorant, part of the Target Made to Matter collection- our first natural kids deodorants formulated just for kids! Made with fragrance specifically designed for girls, Wicked Cool! provides kids with 24 hour odor protection and is free of aluminum, parabens, and artificial fragrances. Wicked Cool! is exactly what every kid needs to keep theirs. This product is part of the Made to Matter collection: innovative products with a purpose. Search "Made to Matter" to learn more.